It’s really easy to delete calls from the iPhone call history log, and you can get quite specific in the process. You can delete a single specific call, outbound calls, incoming calls, all missed calls, received calls, basically, if it is included in the Phone app “Recents” list, it can be deleted with ease. While we’re on the subject, we’ll also show you how to recover anything that has been deleted from iPhones call history. This will remove everything from the Recents list, leaving a blank screen. This is a helpful trick for people in sales or for anyone who makes a lot of phone calls for work, since you can clear out the call list at the start of the day and easily see a list of who you’ve talked to without accidentally overlapping with other dates. If you’re trying to just hide a call or two from a call log without raising suspicion, this is not the way to go since it’s pretty obvious that the entire list has been cleared out, and you’d be better off deleting the specific call(s) you want to remove from the list. You can also remove a single call from call history by using the “Edit” method, then tapping on the phone number to delete, but that’s a bit slower for just a single call. That’s why the swipe to delete method is nice, because it doesn’t require any additional tapping around, though if you want to delete multiple calls from call history then the next Edit-based approach is typically better. To quickly remove a bunch of calls the best thing to do is position one finger over the left side of the call history where the red (-) minus button appears, and position another finger where the red delete button appears. 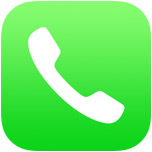 This way you can quickly tap both the buttons to remove a large amount of calls faster. Recovering a list of calls that have been deleted is possible, but there’s a fairly significant caveat: the iPhone must have had a recent backup. That’s because the date of the last backup is when you’ll be able to recover the deleted calls back to. For example, if the last backup was performed a week ago, you would only be able to restore the deleted calls that were made a week ago and prior to that backup date. Whether that backup was from iCloud to a computer on iTunes doesn’t matter, you just need to restore the iPhone from that most recent backup to regain the deleted calls list and see call history from that date and before. If you’re not sure how to do this, here’s how to restore from backups stored with iTunes or iCloud. The benefit to the iCloud method is that it can be done entirely through the iPhone and does not require a computer, it only needs the Apple ID login details to the iCloud account. Do note there is a difference between simple restoring, and restoring from a backup. Restoring alone will just take the phone to factory settings, which is why restoring from a backup is what you’re looking to do. Anyway, let the iPhone restore from the appropriate backup, then open Phone > Recents > All and you will find the phone call log before it was deleted. The “Delete all missed calls” didn’t work properly! Following the tip “From the “Recents” menu, tap the “Missed” tab, then tap “Edit” and “Clear”” clears all Recents calls, that means everything. I ended up with a totally cleared All and Missed call list. Yes, the Apple iPhone GUI is rather poorly designed in many respects, this being one of them. In addition, the original post here neglects to mention that restoring from back up will restore your recents as of the last backup but will ALSO delete things like text messages you have made or received since then. Pretty awful post. 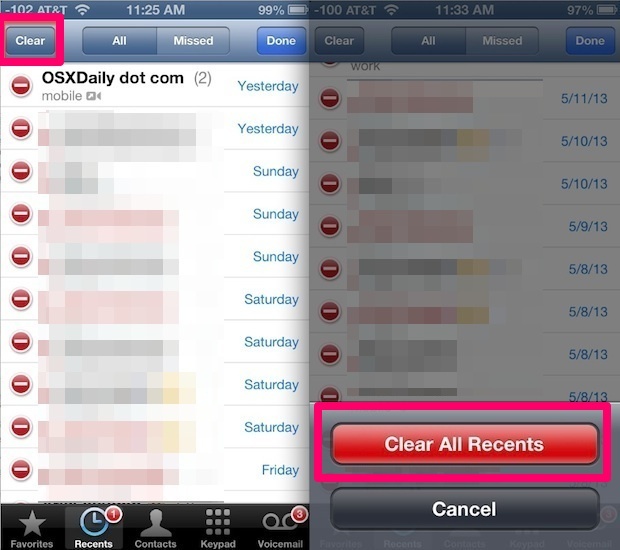 OSI WAS INSTALLED ON MY IPHONE & I want to delete recent calls on lock/ home screen! How do I do that? Privacy issues! Can’t believe that was in the installation! Weak app – Android is better (and I detest Android). Can’t even delete range of calls – like all calls over 10 days old. Simple functionality. The original post here neglects to mention that restoring from back up will restore your recents as of the last backup but will ALSO delete things like text messages you have made or received since then. Pretty awful post. 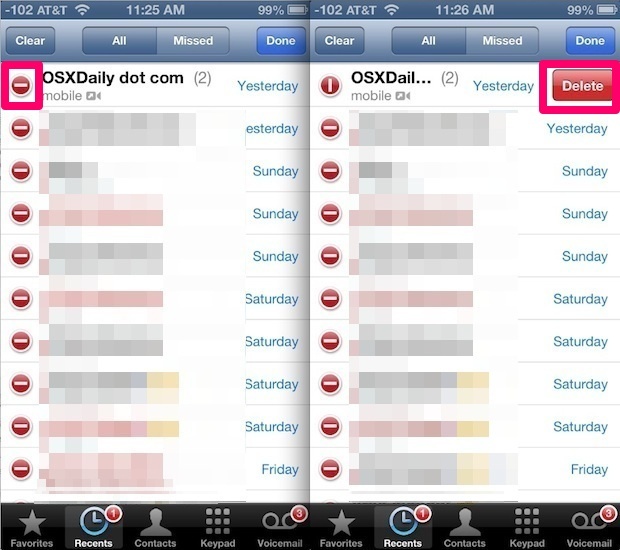 Can you delete certain items from call log on icloud?